Adams and Ollman is pleased to announce Two Ways Down, Laura Heit's new hand drawn animated installation, on view May 2 through May 31. Please join us for an opening reception with the artist on Friday, May 2 from 6-8pm. 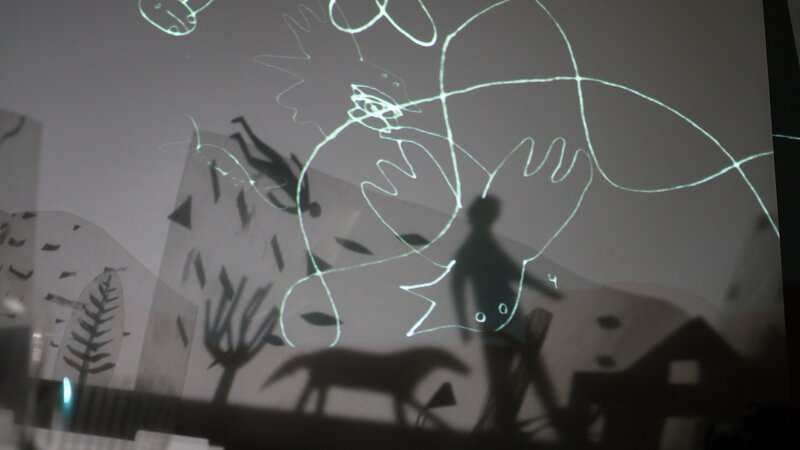 Reflecting on the momentary nature of life, Heit’s fantastical piece uses thrown shadows from tabletop dioramas and reflected and refracted animated projections to create a fleeting world where human-animal hybrids, specters and body parts morph and flit across the walls.